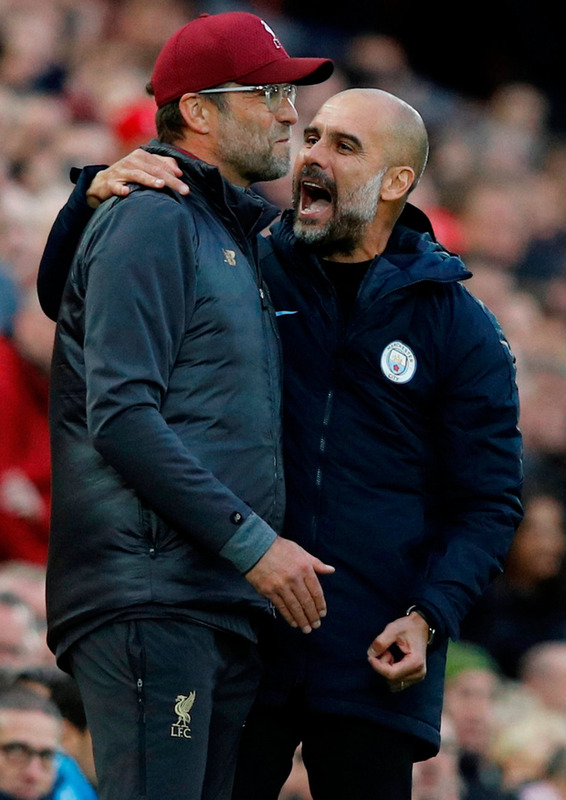 Premier League title race: Liverpool vs Man City battle is fully charged – but how fully charged should you be? It was almost exactly 26 years ago this weekend and Manchester United were facing almost exactly the same pressure as Liverpool right now as they strived to end a long wait for the title… but Sir Alex Ferguson realised something different was required. United were similarly facing one of their then top-four rivals in Norwich City, just as Liverpool are doing with Tottenham on Sunday, after Manchester City’s trip to Fulham. Ferguson usually wouldn’t say too much with the team ahead of such games because he knew he had conditioned a squad of strong characters that were able to motivate themselves, but felt this was worth an intervention. United hadn’t won in four, and all of the questions from the previous season – where they notoriously blew a lead in eight days in 1991-92 – were returning. So, in a short but painfully sharp manner, Ferguson asked how many wanted to return to the club. How many could perform to the standard required? It worked, as a super-pumped United blew Norwich away by making it 3-0 by the 21st minute, and then won their remaining six games to win the title. No more interventions were required. It is also a question that Pep Guardiola and Jurgen Klopp will now be asking themselves weekly, as the run-in really ratchets up. What is the best mindset for the players to be in, and to what extent should the managers influence this? Should they be fired up, or calmed down? Should they be intense, or relaxed? It is a factor at this point as crucial as tactics or personnel available, particularly as it so influences both. If that sounds simplistic, or related to old cliches like “bottle”, it isn’t. It’s way beyond that, and way deeper than that. It’s about necessary application when the challenge changes, and the individual effects of every little interaction on a pitch have much greater consequence – particularly in those classic run-in games when there are 70 minutes gone and it’s 0-0. Paul Parker has plenty of experience of those, and played in that United win over Norwich in April 1993, so explains the difference. The safe decision in a normal game could be the wrong decision in a run-in game. They just have a different intensity. And in that intensity a certain urgency is required, but not too much. Steve Nicol knows better than most what it means to come through a run-in, having won four titles with Liverpool as one of the best full-backs in the world between 1983 and 1990. He also knows what happens when you don’t go in with the right mindset at that stage of the season. This is the balance both Guardiola and Klopp must try to strike as both face a properly full-on title race for the first time in years. It also feels all the more relevant given how animated both managers are on the sidelines themselves. That can generally influence their players in a positive way, but that can go too far. Teams can get too hyped up. Perhaps the most notorious example of this was Liverpool 2013-14. Having worked themselves into a frenzy with some of the most fantastic football any title race has ever seen, they were suddenly trying to do far too much in April when an obdurate Chelsea stopped them doing what they usually do. Everything was rushed, and their momentum was stalled as they lost 2-0. Ferguson meanwhile kept telling his United squad in 1994-95 that Blackburn Rovers would “bottle it” because of how much it meant to them to win the league for the first time in 81 years, and the irony was some of the Ewood Park players agreed him. Chris Sutton once explained how many of their team would come in after every game and be genuinely affected when they were informed again that United had won. Blackburn just didn’t have that experience of a race and, as Sutton put it, they “fell over the line”. They didn’t even get a point on the last day at Liverpool either, but still won the title, because West Ham United goalkeeper Ludek Miklosko had a miraculous match in keeping a relentless United to 1-1. Through Arsenal’s title wins, Tony Adams would regularly be banging lockers before games, but that was only to complement Arsene Wenger’s sense of calm. The French great had a simple message for his players in run-ins, and especially for those frustrating games when the goal just wouldn’t come. He would tell them to just take a mental step back, forget what the match meant, and just focus on doing their job as they always do. “The win will then naturally follow,” Wenger would say. Many Arsenal players say they felt this was the optimum approach, and pretty much all repeat title winners agree this is the key: to treat it in that focused, business-like manner. Parker and virtually everyone from Ferguson’s time at United say the same, and it is pretty much the key to repeat titles – because you know you just have to remember to do your job. But that is also what stands out this season. Only one of those teams has that experience. Liverpool are still in the learning process, so can’t rely on that experience yet. And it is why it’s understood Klopp has been taking an opposite approach. He has been hyping every game up for the players, pointing to the glory. He is leaning on fostering that urgency, that intensity. It also worked for him at Borussia Dortmund against repeat winners in Bayern Munich, and may well be his hoped-for solution to the difference in experience between the two Premier League challengers now. It should fully charge this race. But one dilemma for both managers is how charged their players should actually be. Should I book DIY holiday or travel agent’s package deal?